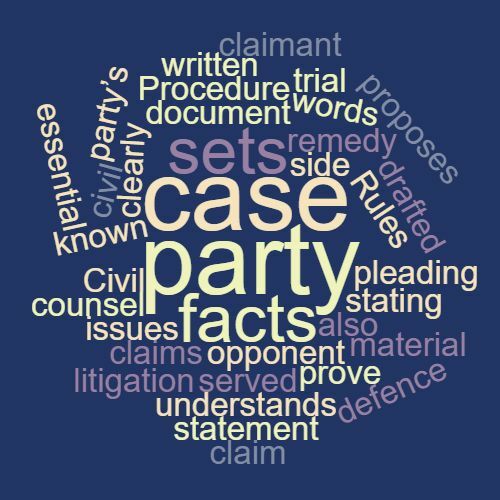 Definition: A written statement, drafted by counsel, in which a party sets out its case for civil litigation or in other words sets out the material facts, which are facts essential to the party’s claim or defence that the party proposes to prove at trial and in the case of the claimant, stating also the remedy that he or she claims. This document is served by each party on its opponent so that each side understands clearly the issues in the case. Before the Civil Procedure Rules 1998 this was known as a ‘pleading’. Example: My client served the statement of case on the opposition. This word features in Episode 42 of the Study Legal English Podcast.